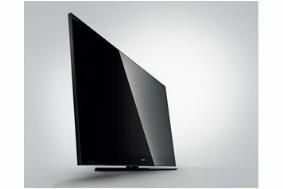 UPDATED: Sony confirms UK prices for 2010 Bravia TVs | What Hi-Fi? The flagship Signature Full 3D KDL-LX903 models retail at £2000 (40in) and £3500 (60in). The Cinematic 3D-ready KDL-HX903 models will sell for £2199 (46in) and £2500 (52in), while the KDL-HX803 series cost £1800 for the 40in model and £2200 for the 46in. The Presence edge-lit LED KDL-NX803 models will cost around £1600 (40in) and £2299 (52in). Turn to the KDL-NX703 and prices are £1300 for the 40in and £1700 for the 46in. The EX43B range of tellies with integrated Blu-ray players is due for release in May, and the BDV-IZ1000W 3D Blu-ray in a box system will go on sale in September, prices to be confirmed. For full details of Sony's entire 2010 product range, see our special blog.